Brand Autopsy | Are Logos Important? Why or Why Not? Are Logos Important? Why or Why Not? Yes, a logo serves as a visual shortcut for any brand. It’s important to have a visual element for customers to recognize your business over another business. A logo should convey a brand’s style and that style should be unique and recognizable. That’s definitely important. However, a whiz-bang logo isn’t vital for a brand to succeed. Case in point, the now classic Starbucks logo. I contend Starbucks succeeded in spite of the logo. It’s clunky. It’s complicated. It’s confusing. Yes, this logo is unique and recognizable. No other logo looks quite like this and that’s because it’s clunky, complicated, and confusing. 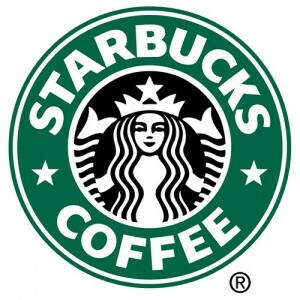 If Starbucks was a new business today, there is no way they would choose to use such a clunky, complicated, and confusing logo. Yet, Starbucks has achieved tremendous success despite its classic logo being a mess. We marketers tend to focus too much of our attention fine-tuning logos and taglines and not enough attention fine-tuning vital business matters. It’s far more vital for a business to focus on building a business that (a) makes money, (b) makes customers happy, and (c) makes employees happy. If a business focuses its attention on those three vital areas, whatever logo it uses doesn’t really matter. Growth will happen. During its growth years, Starbucks focused its attention on building a profitable business that made customers and employees happy. In focusing on those areas, Starbucks built a viable business with the by-product being a strong brand despite having a clunky, complicated, and confusing logo. You can do the same with your brand.